A judge hearing family law cases has slammed a 600 per cent blowout in Western Sydney court lists that have left children at the centre of ­custody cases at risk and his colleagues distressed. Judge Joe Harman said he has 700 cases on the go at once and that even regularly sitting eight to 10 hours a day in the Federal Circuit Court could not address the “tsunami” of work the Parramatta judges have to deal with. In a damning indictment of the overstretched resources, he said some children may look back and judge the court harshly for their treatment. “Delays in determination of … most other parenting cases before the court will disadvantage and poorly serve the interests of children — the future of our society,” he said, using judgments in two custody cases handed down last month to call for more resources. He likened sitting on the court, which now deals with 85 per cent of the cases once heard by the Family Court, to a doctor in an emergency ward. “This situation is, for the judges of this court, analogous to a doctor operating upon a patient in a busy emergency room with the known certainty that two more patients will bleed out and die in the corridor while working on this patient and knowing full well that with more resources, two more sets of hands, no life need have been lost,” Judge Harman said. 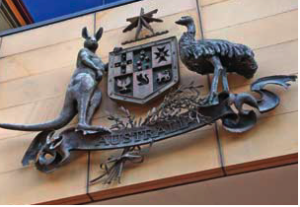 The Parramatta court has been under pressure with one of its five judges on extended leave pending his retirement while the Family and Federal Circuit Courts are in line for budget cuts of up to $30 million. Judge Harman said the court lists for the rest of 2015 were already full and “there are far too many matters to be dealt with properly or effectively” as judges face the “distressing” task every day of deciding which cases to hear. In one case involving two children aged and 13 and 14, whose parents have been fighting over their custody since 2007, he had to adjourn further hearings until tomorrow and Thursday but warned that those dates were already “600 per cent over-listed”. In another custody case involving a five-year-old boy, the judge said every child’s interests deserved to be determined in a “timely fashion” but it was not possible with the present resources.